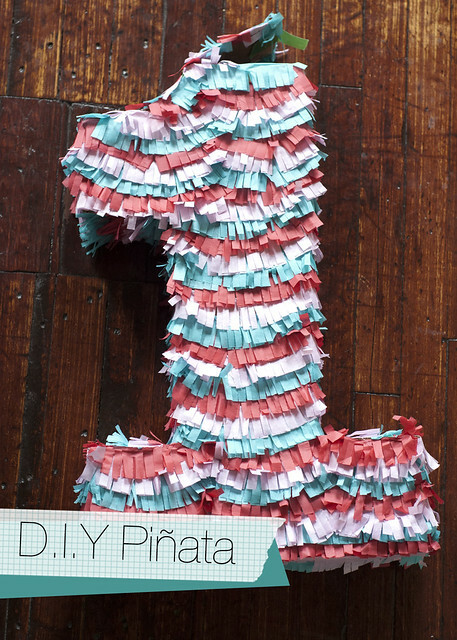 Since I got lots of comments on our #1 pinata for Rowan’s party, I decided I would post a little tutorial. (I got the idea from Oh Happy Day!) It is super easy and a great way to add a little extra something to your party. 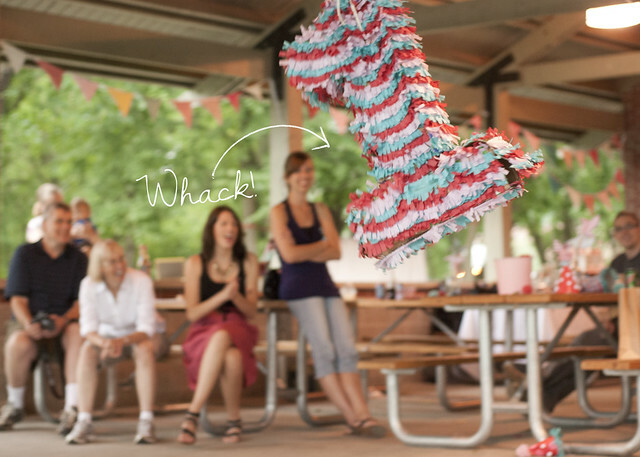 Everyone loves a pinata. Who wouldn’t want to whack something to get candy? Sounds like a party to me! 1. We just happened to get Rowan a new bike seat so we had a large box around, but you will need cardboard that is about 3″x2″ in size. 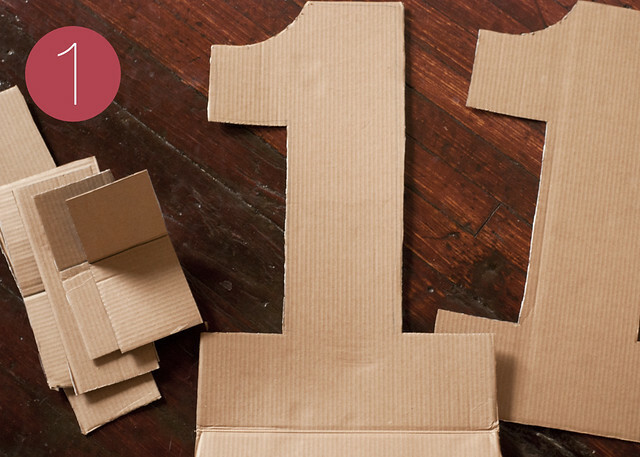 Cut out a front and back of the number you want to make. Make sure they are the same size. 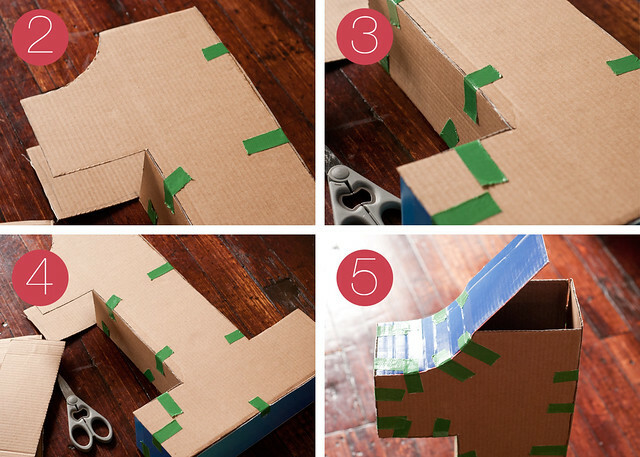 Decide how wide you want it to be and start cutting strips to use for the sides. I cut 4″ wide strips for the side. 2. Start taping the front and back numbers to the side pieces. 3. Trim the sides when you get to corners so everything fits perfectly. 4. Continue working all the way around the number taping it all together. 7. Cut 3″ strips of tissue paper. 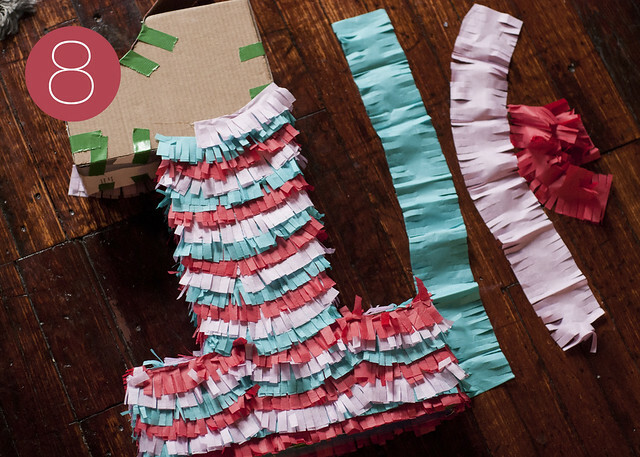 Cut fringe strips every 1/2 inch or so on both sides of the tissue paper. Make sure not to cut all the way through. 8. 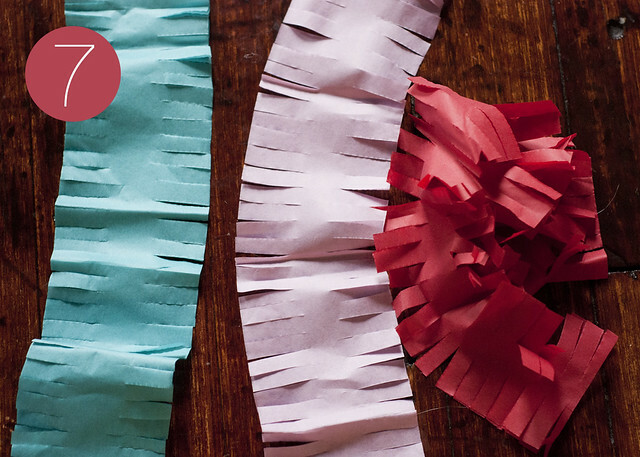 Fold cut tissue paper strips in half and attach to pinata with hot glue. I worked from the bottom to the top alternating between red, turquoise and pink. When you are done, fill with candy and you are good to go! That is an amazing idea!! I’m so trying this for my daughter’s 2nd birthday next year!!! I really loved the pinata when you first posted itt, maybe I’ll make one for my 30th birthday party next month! 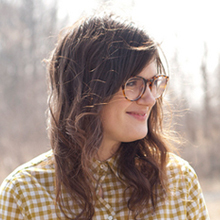 Love, love your blog! OMG this is so cute ! 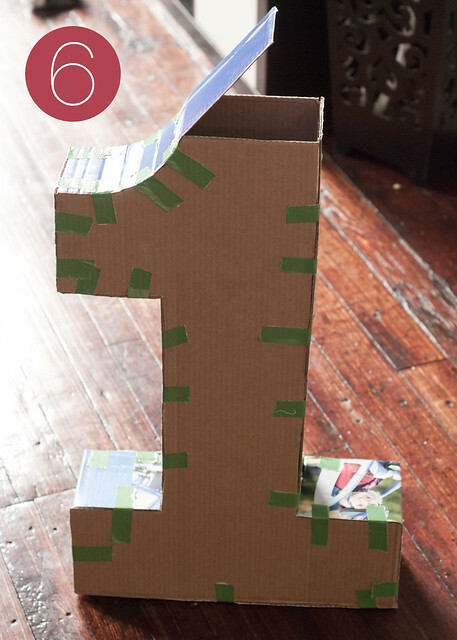 I’m soo gonna make one for my son’s first bday. I keep coming back to this post, so cute! I grew up with my dad usually making me a piÃ±ata for my birthday parties. From ages 3 to 10, I could always find my dad about a week or two before my birthday building something. I love him for that. I haven’t left a comment on here in awhile but I wanted to say thanks for putting this up. I don’t usually hear about piÃ±atas in the blogosphere so this was a nice (and reminiscent) surprise! They are terribly underrated, I hope this starts a new trend for d.i.y. parties :o] Take care! that’s such a good idea! we were thinking of making a sponge bob one for the office! I’ve come back to this post a few times as I think about making one for my daughter’s first bday in a few weeks. One quick question: was it difficult for people to break such thick cardboard to actually get the candy? Or did it just come out the edges where it was taped? Thanks for the wonderful idea/tutorial!